Paul Anthony Formosa, who was the construction project manager for DP World, was killed near Bossasso port. Islamist militant group al-Shabab has said it carried out the attack. Puntland, an arid region of north-east Somalia, declared itself an autonomous state in 1998, in part to avoid the clan warfare in southern Somalia. The state is a destination for many Somalis displaced by violence in the south. Mr Formosa was manager for P&O Ports, a subsidiary of the Dubai-based DP World, one of the world’s largest port operators. He was waylaid by gunmen disguised as fishermen as he was heading to the port, news agency Reuters reports. “[He was killed] in the fish market as he was going to Bossasso port this morning. The men armed with pistols hit him [with] several bullets in the head,” Yusuf Mohamed, governor of Puntland’s Bari region, told Reuters. One of the gunmen involved in Monday’s attack was caught alive and has been identified as a member of al-Shabab, Mr Mohamed said. Two guards at the port were also injured in the attack, he said. Al-Shabab said it carried out the attack, accusing DP World of looting Somalia’s resources. It accused Mr Formosa of being in Somalia “illegally”. “We are behind the operation… we had warned him but he turned [a] deaf ear. He was illegally in Somalia,” al-Shabab’s military operations spokesman, Abdiasis Abu Musab, said. Why was the port deal controversial? DP World won a 30-year concession in 2017 worth $336m (£260m) to develop and manage the Bossasso port. Many residents opposed the deal and staged protests during which at least one person was killed. They said that the deal would increase taxes at the port. DP World has a similar agreement for Berbera port in the neighbouring region of Somaliland, which has declared independence from Somalia. The federal Somali government declared the deals null and void, accusing the operator of violating the country’s sovereignty. 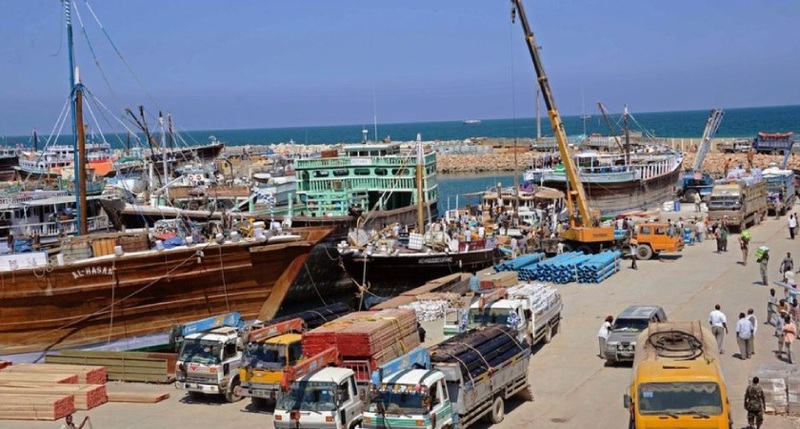 Subsequently, the Somali parliament passed a bill banning DP World from Somalia. What is Somalia’s relationship with the Gulf countries? Somalia has been caught up in the ongoing diplomatic spat between Saudi Arabia and Qatar, its two allies and benefactors. It has so far taken a neutral stance. Saudi Arabia, the United Arab Emirates (UAE), which includes Dubai, and Bahrain severed relations with Qatar on 5 June 2017. “Somalia has become a chessboard in the power game between Qatar and Turkey on the one side and Saudi Arabia, the United Arab Emirates and their allies on the other,” Rashid Abdi, director of the Horn of Africa project at the International Crisis Group, told the BBC. “There is no doubt that these rivalries are spilling over into Africa. Somalia is especially vulnerable because of its proximity to the Gulf and its long historical relationship with the region,” he added.